This past week I was reminded of the importance of cultivating good relationships with our elected officials. We were given the opportunity to be one of two tour stops for a group of legislators from the Oregon State Capitol. 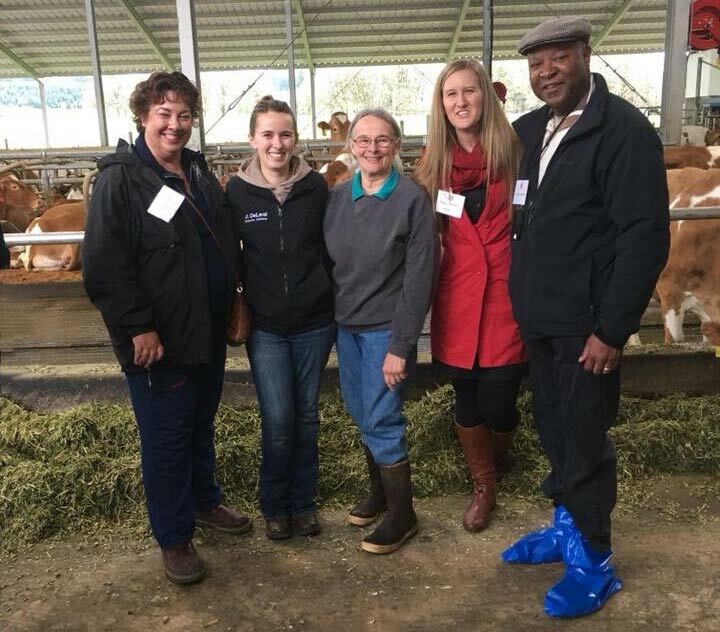 The goal of the tour was to not only get them onto dairy farms, but also to connect them to us as dairy farmers and constituents in their districts. At first, I felt a little intimidated by the opportunity. I had to remind myself what a great idea this was. Not only would they be able to see what we do firsthand on our farms every day. It also would give us a chance to engage them in conversation. In the end, we hosted about 30 Oregon state senators, representatives, and members of their staffs. The conversations we got to have with them during our tour were great! I think it’s important to remember that they hold offices that give them the power to make decisions that can affect our farms. Engaging with them to share our stories, hardships and just basic facts really goes a long ways to cultivating understanding. Conversations are great for relationship building, but seeing is believing. I really appreciate that this group took the time out of their busy schedules to visit our farm. Getting them in the barn and up close and personal with our dairy life makes it all real for them. Hosting a tour might not be a feasible option for every dairy operation. However, I encourage each of you to build and cultivate a relationship with your elected officials. Whether that is at the local, state, or federal level, those elected to represent us deserve to know who we are as dairy farmers.